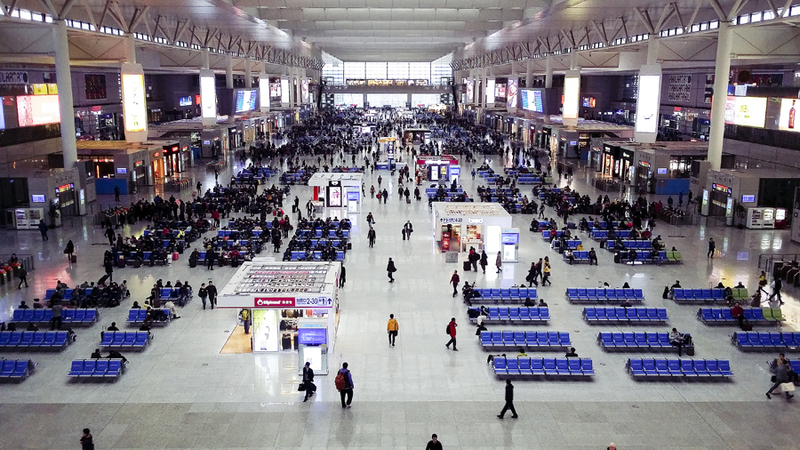 At the Shanghai Hongqiao Railway Station (上海虹桥站). 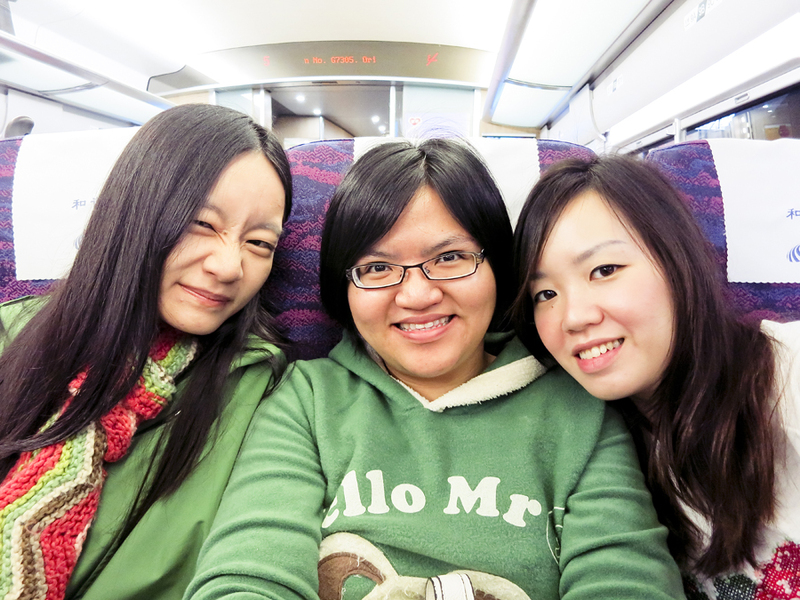 Me, Puey, and Ade on the train to Hangzhou. 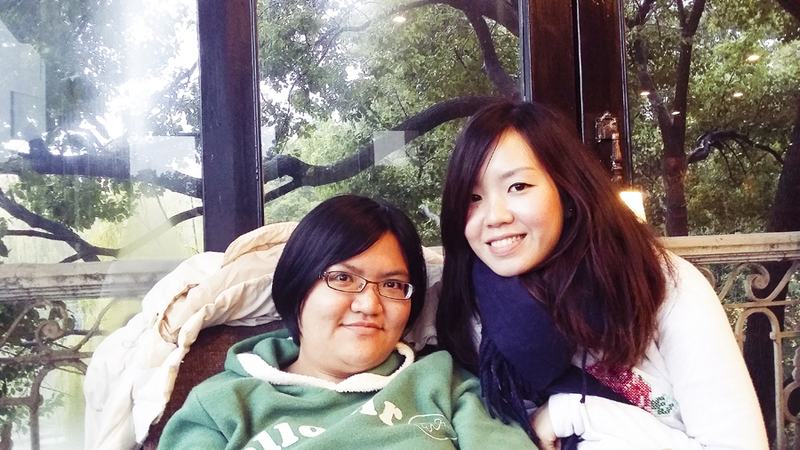 We went in search for food upon reaching Hangzhou, and were lucky enough to chance upon The Grandma’s (外婆家) right across West Lake! Unlike our experience in Shanghai, this was the one that Zen had recommended. There weren’t many customers, the drizzle probably acting as a deterrent, so we were immediately ushered to an empty table. Lucky! Look at those slightly angled cups! It was pretty cool. 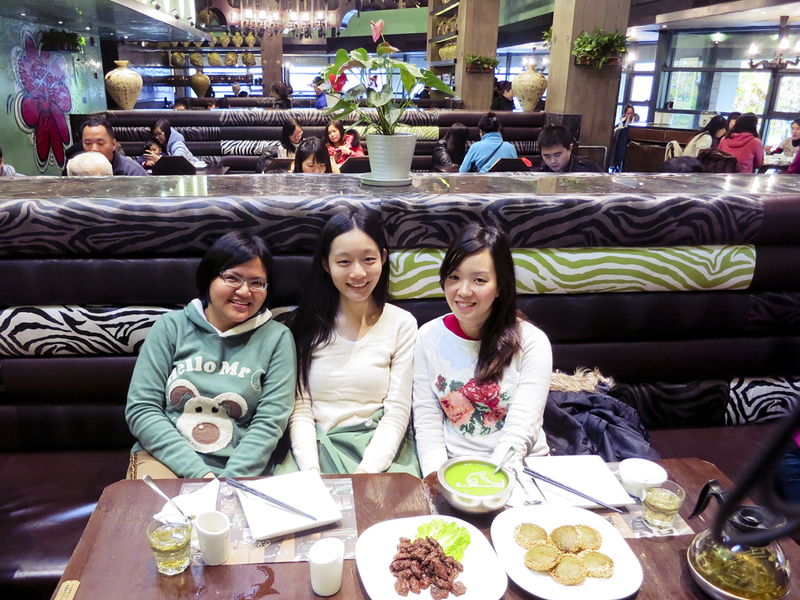 Clockwise from the left: Green Tea Cake (绿茶饼), Mutton Ribs (想吃羊排), and Pea Paste Soup (青豆泥). 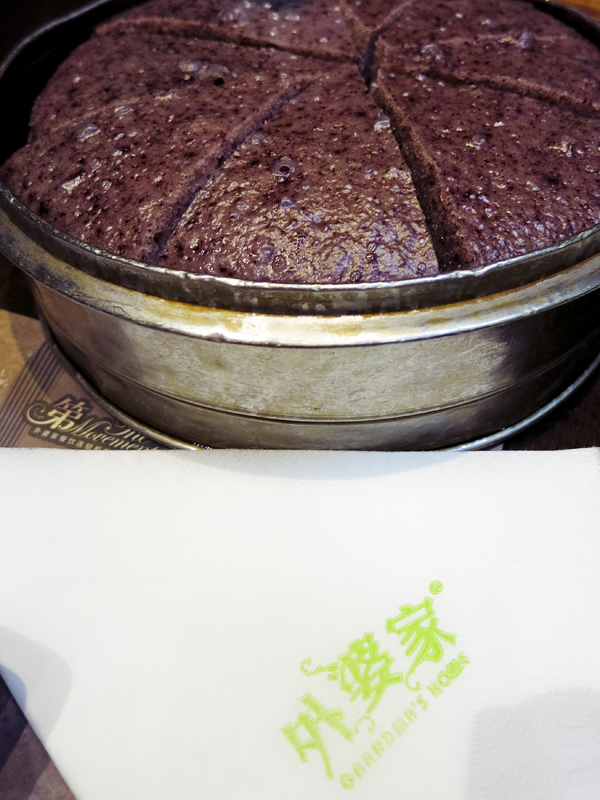 I could not get enough of the Green Tea Cake! 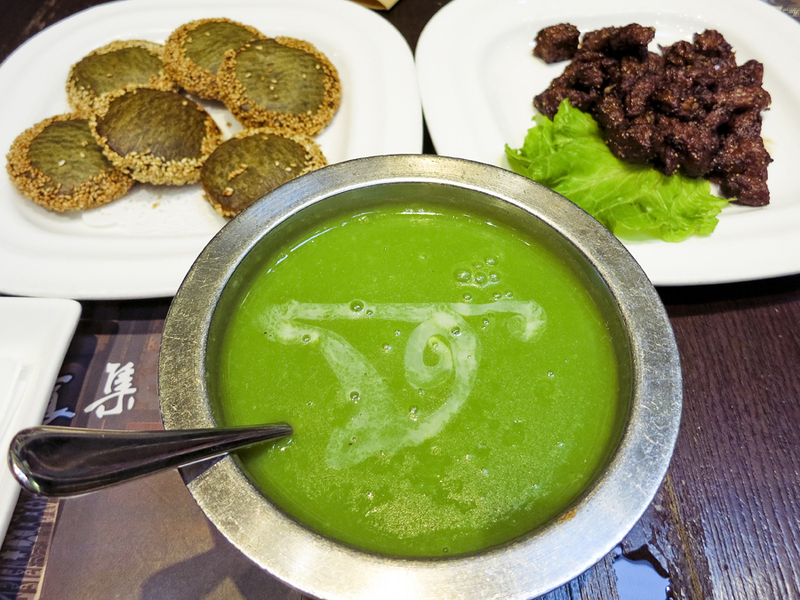 Also, the Pea Paste Soup looked slightly icky but was so delicious. Om noms. 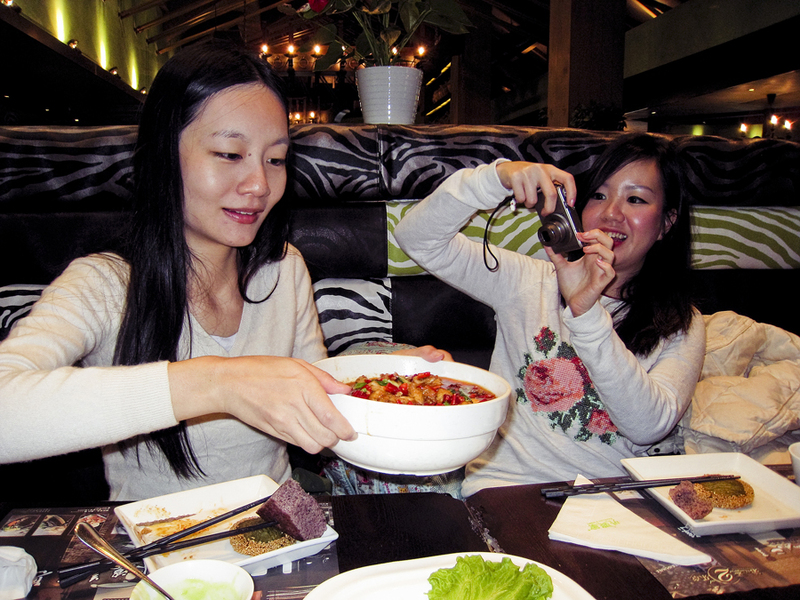 Ade taking a picture of me showing a spicy dish, Sautéed Frog with Chili Sauce (馋嘴蛙). 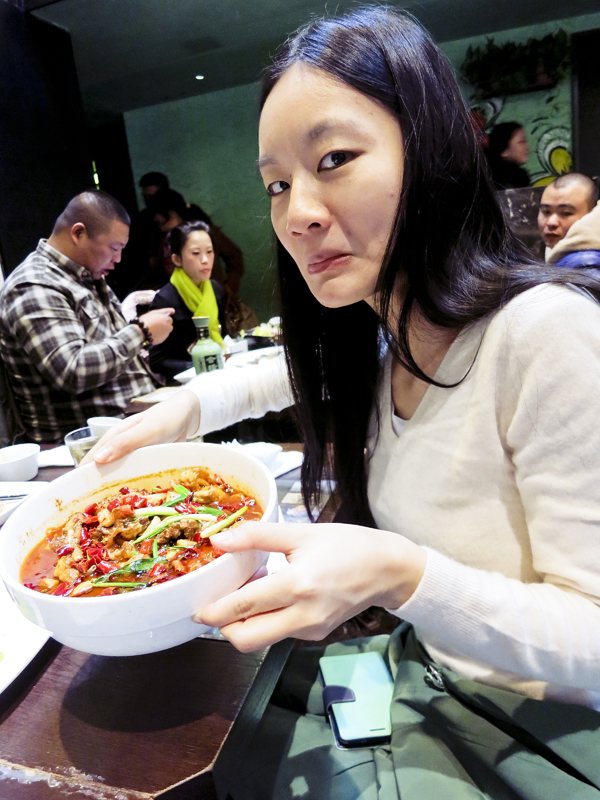 Behold my disdain of foods which are too spicy for anyone’s well-being. 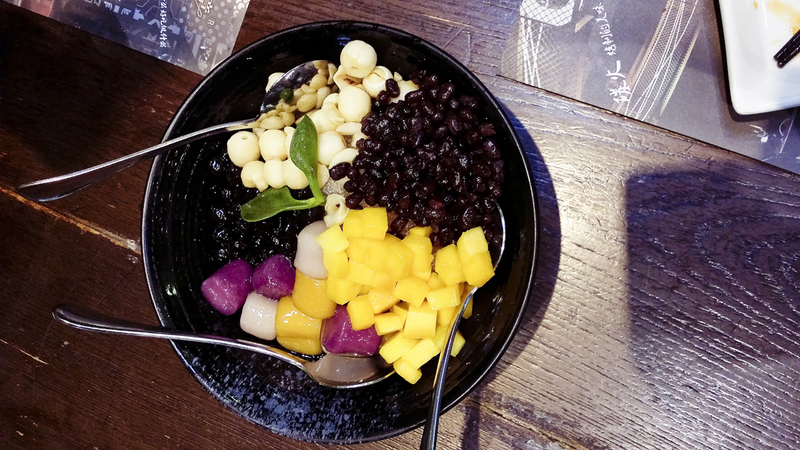 Needless to say, this dish had very little to do with my stomach (mainly because I couldn’t handle it). 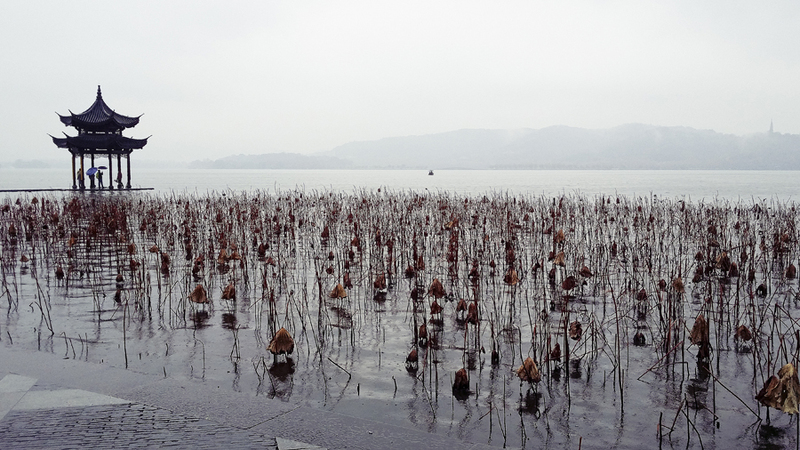 Stomachs full, we walked across the street to the famed West Lake (西湖), I would love to visit it again one day, when weather allows me to explore more and at my leisure without worrying about broken equipment. Although I would have to deal with a lot more tourists during good weather… I guess the rain was a mixed blessing. 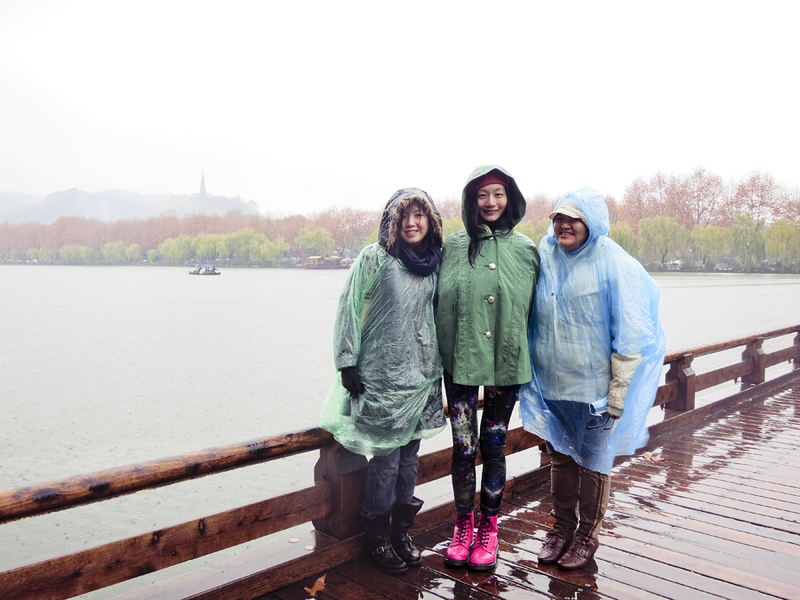 The rain got heavier when we reached West Lake, but the kind ladies at the information kiosk offered us disposable ponchos for free! Since I had come prepared with my Calvin Klein cape after checking the weather forecast, I decided to test how waterproof it was. I’d bought it in LA, but never had the chance to use it, so I was pretty excited. 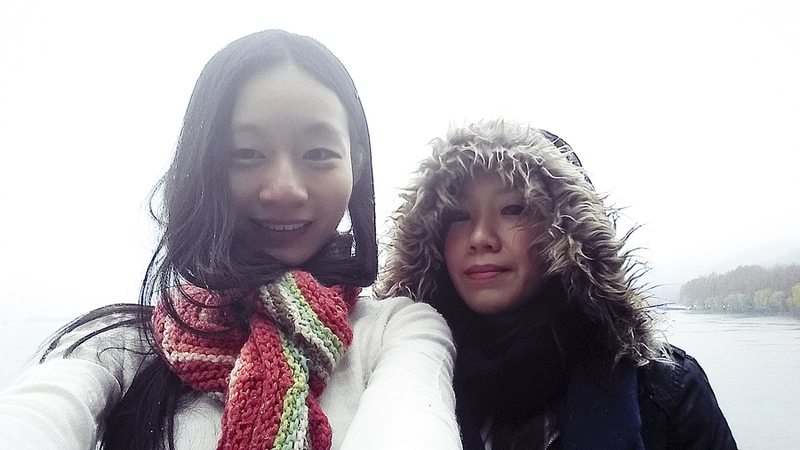 Unfortunately, I forgot to account for warmth, and no raincoat could prevent me from freezing at 5ºC. 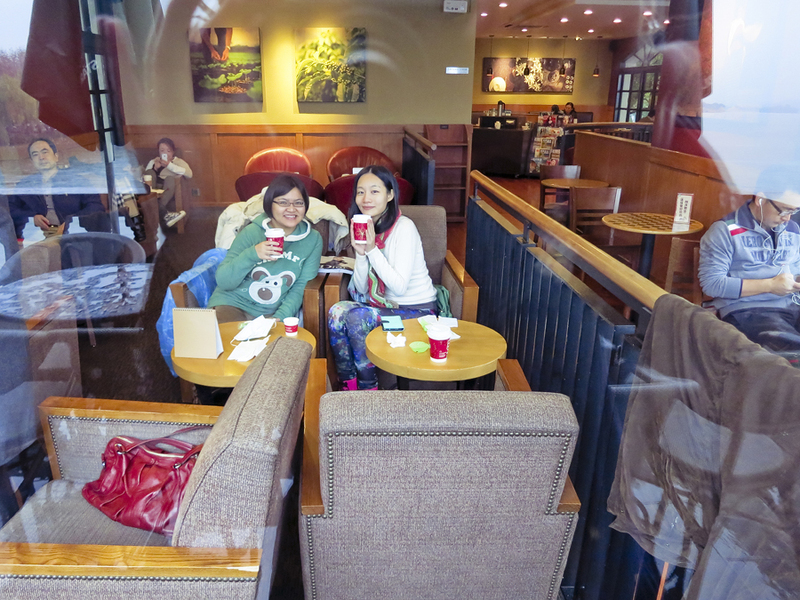 The rain got so heavy that we sought shelter at a Starbucks in West Lake. 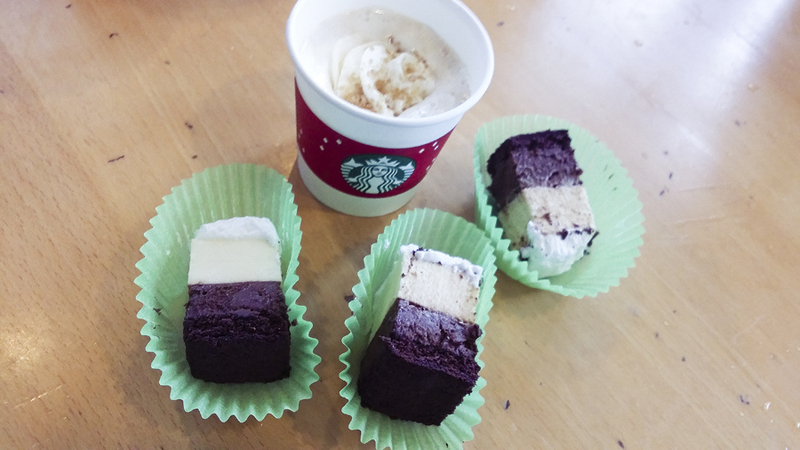 It was so warm and cosy and the staff even went round giving customers free cake samples! 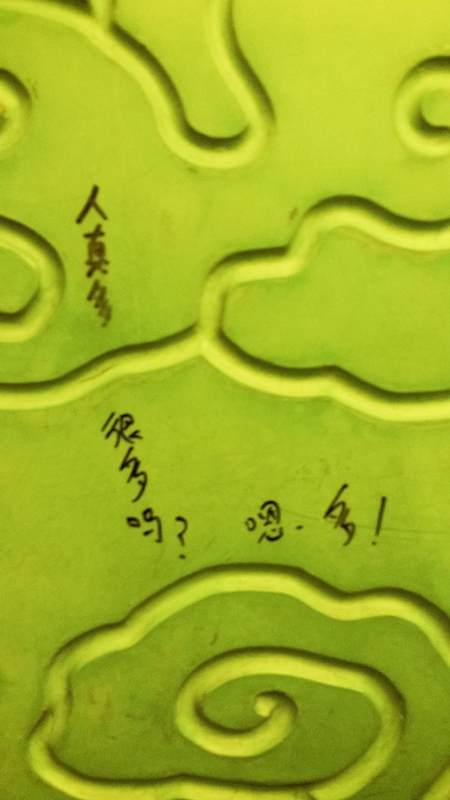 ♥ My only gripe was that free wifi was only available to customers who had an account with a telecomm company in China. Puey and Ade being cosy. Having lived most of my life in perpetual summer, snow is one of those rare things I, like most of my fellow Singaporeans, get to see once in a long while. 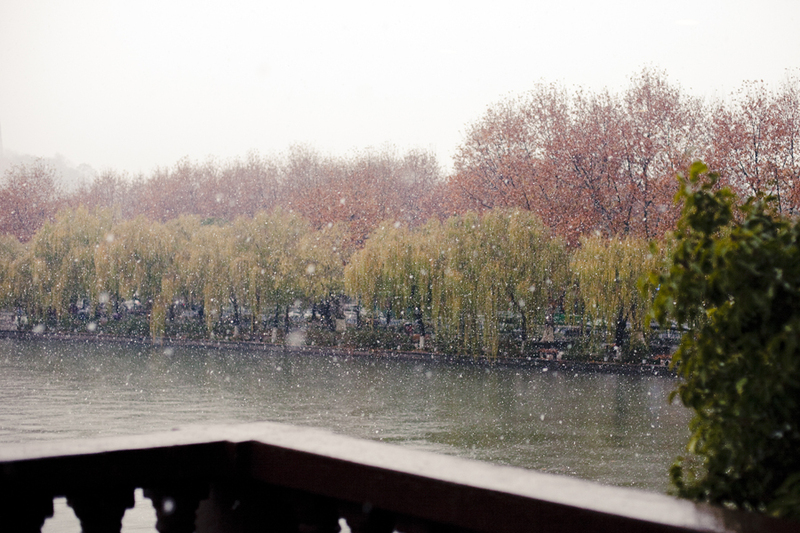 Just being in a snowy place already makes me giddy, but seeing 初雪 (first snow)? I could hardly believe it. Naturally, we had to brave the elements just to catch it in person. 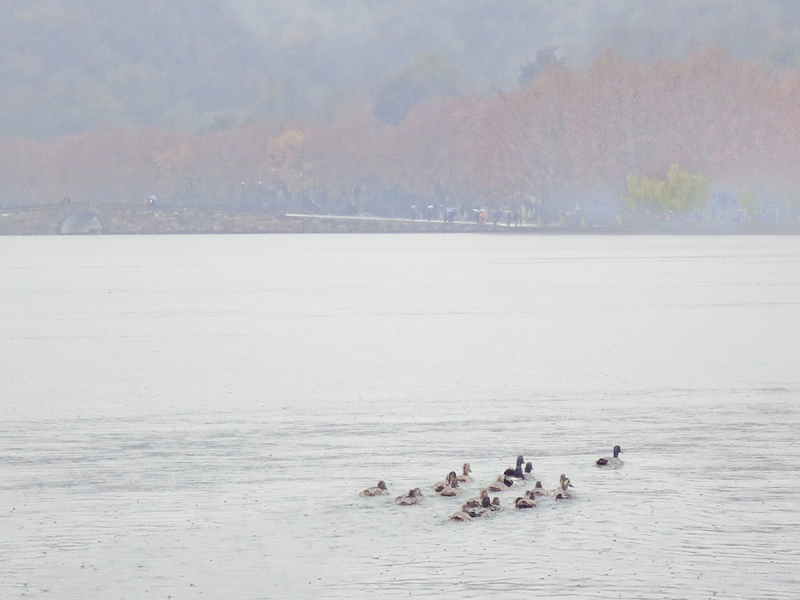 If anyone remembers the video compilation I made of our day in Hangzhou, it’s in this post here. This concludes my writeup of my awesome vacation!